I started auditing classes in the music department at Stanford in the fall of 2005. I was admitted to the Phd program at Stanford's Center for Computer Research in Music and Acoustics (CCRMA) two years later, entering in the fall of 2007. I passed my qualifying exams in the fall of 2008, the same quarter we launched Smule. I completed my special area exams on June 3rd of this year (2013). I defended my dissertation yesterday (11/12/13). And I passed. Here is the abstract of my dissertation. Correlation analyses of encoded music performance by a large and diverse international community of amateur performers reveal insights into fundamental questions of musical behavior. Specifically, by observing demographic data encapsulated in a corpus of performance recordings, we can conjecture about cultural, geographical, topographical, socio-political, economic and other potential influences, as well as explore possible 'universals' in musical thought and practice. 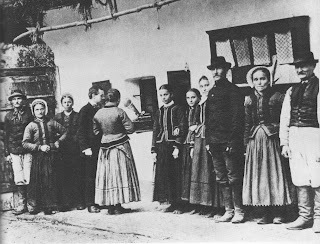 A century ago, Bela Bartók visited what were then remote regions to identify and characterize folk music at its source. Subsequent investigators and collectors, particularly in the context of colonialism and with a variety of objectives [Agawu] sought to clarify and categorize music from a broad spectrum of cultures and regions. In some cases western music was introduced to an indigenous populace specifically in order to observe and record listener reaction [Sachs]. Bartók recording folk songs from Slovak peasants in 1907. Although fraught with issues, there is a great deal to gain by examining how a particular populace interprets a foreign object. In terms of cultural objects such as a work of music, inferences can be drawn as to what (if anything) is 'universal', as well as how to characterize cultural differences. As music delivery, through increasingly pervasive mobile devices, becomes more available as well as more interactive, new opportunities arise to study musical practices. Interactive applications merge audio playback with recorded performance, effectively providing users novel musical instrument interfaces that are amenable to mastery by amateurs. These software instruments are limited in their acoustic richness and expressive control. They also are largely biased in their available sounds and tunings toward mainstream western musical practice. On the other hand, within a relatively short time and with minimal frustration, users both young and old can learn to perform and record music including a wide range of pre-composed works in diverse styles and genres and from numerous origins. More importantly, despite (perhaps, because of) these instruments' limitations, particular aspects of performance -- specifically rhythmic agogics -- are recorded with accuracy and stored efficiently. The underlying premise of this thesis is that, embedded in the encoded music performances by this diverse community of amateur performers is a wealth of information about musical performance practices. Statistical analysis of these performances can provide insight into musical behaviors as a whole, as well as comparative observations on the cultural, social, economic and geopolitical influences on music performance. This study attempts to address questions of musical practices from an entirely novel perspective, specifically taking advantage of massively popular game-oriented music performance programs on mobile devices. 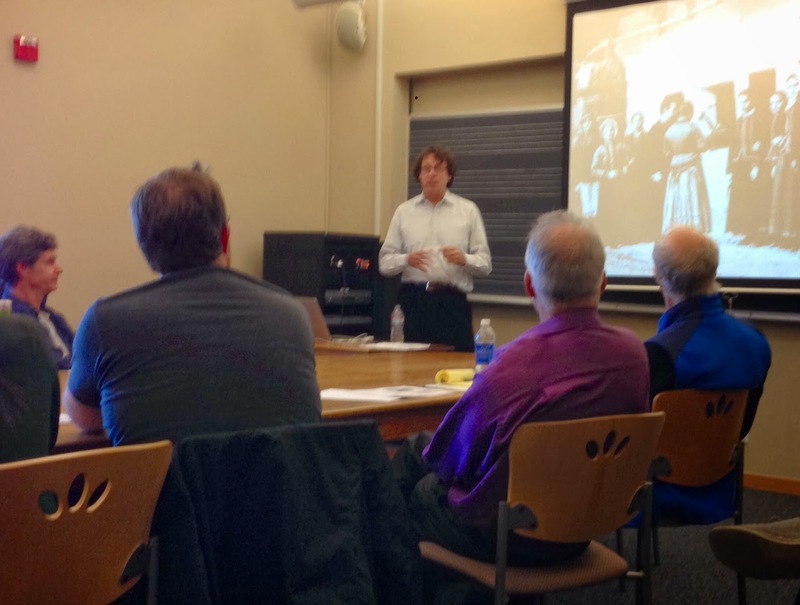 A photo my brother Curtis took of my oral defense at Stanford. Thanks to Jonathan Berger, Chris Chafe, Giancarlo Aquilanti, George Barth, and Bryan Wolf for your insight and support. Special thanks to Craig Sapp, Ge Wang, and Nick Rudolfsky (among others).